Doncaster Rovers Belles have re-signed Notts County striker Jess Sigsworth ahead of the 2016 Women's Super League. The England Under-23 international, 21, will re-join the club in WSL 1, after their promotion from WSL 2 last season. On Tuesday, the Belles announced that manager Glen Harris had opted to remain at the club, extending his rolling deal to go full-time. 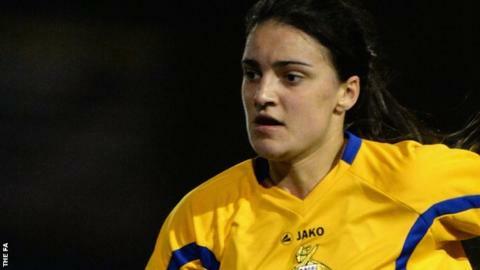 Meanwhile, midfielder Emily Simpkins, 25, also signed a new full-time contract with Doncaster on Tuesday.